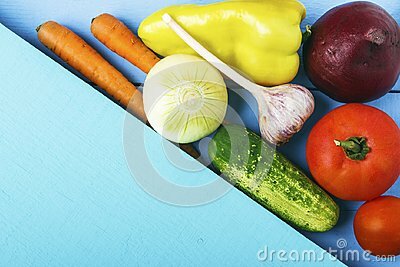 Fresh organic vegetables on wooden table. Natural Ingredients for healthy food. Top view. Copy space.